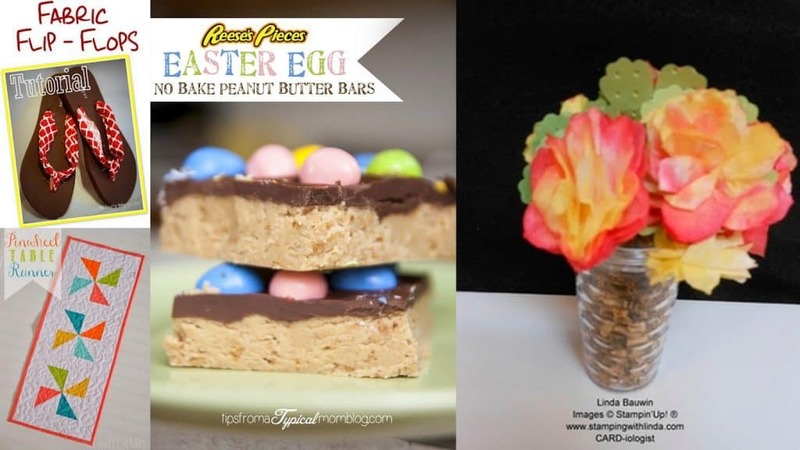 Thank you to everyone that participated last week.This week’s features are by Debra from Housewife Eclectic. 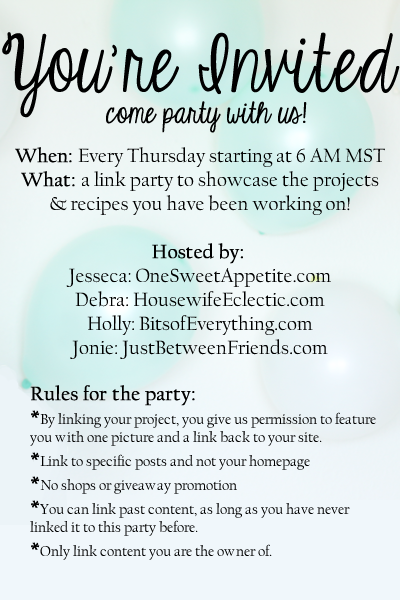 Make sure you link up some projects and recipes of your own so you’ll be in the running for next weeks featured favorites. I am backing hosting today with some of my favorite people including Jesseca from One Sweet Appetite, Holly from Bits of Everything, and Jonie from Just Between Friends. 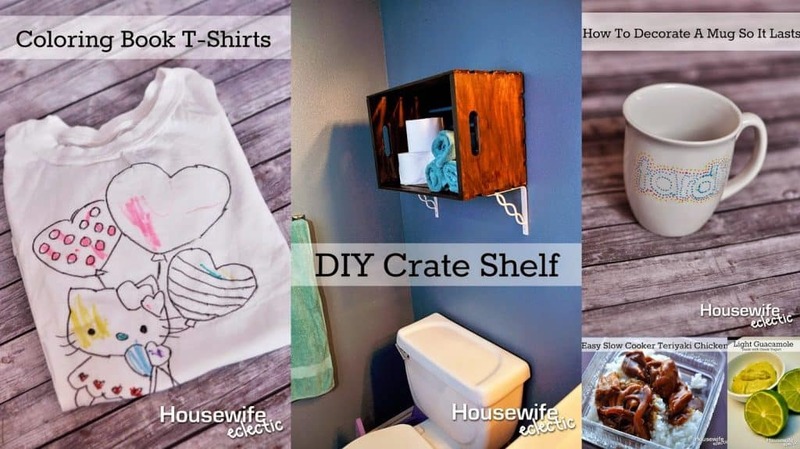 Housewife Eclectic has been full of new projects in the last month. I am cooking up a storm and creating new things for both my house and my 5-year-old. Below are some of my favorites from the past month. 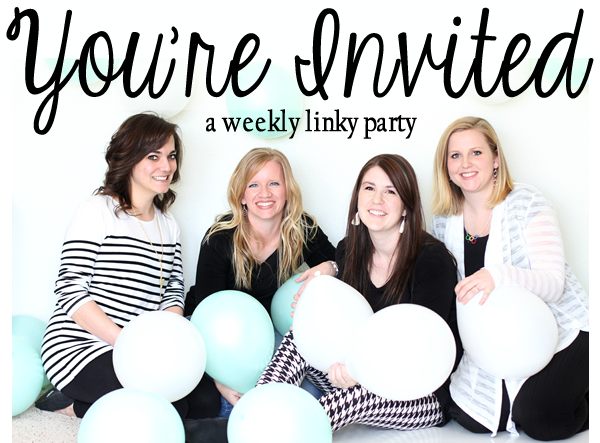 I am loving all of the creative link ups to the party each week. Here are some of my favorites from last week!